A void in space? A void of time from my life? Repetitive, laborious work creating an image of a void. The void left once binary data is lost? This work was a gruelling slog to make. White on black ones and zeros cut from advertising flyers and lifestyle magazine: collected, collated, cropped and placed around a circle form filled with the black 'off-cuts' from the WoB ones and zeros. 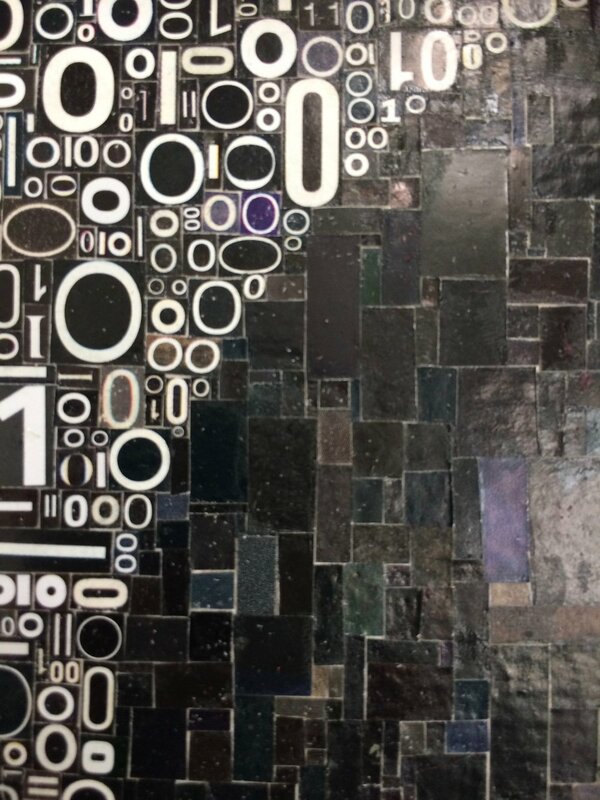 Some detail showing fragments of magazines cut and pasted together; not such a Black Hole really!